Tucked away between two states lies the remnants of a railroad line that belied its small nature with amazing feats of endurance and engineering. The narrow-gauge San Juan Extension of the Denver & Rio Grande Railroad brought the ever-growing reach of civilization to the rugged Rocky Mountains of southern Colorado and the arid plains of northern New Mexico. These trains, rolling across three-foot track from Alamosa to Durango, connected once isolated settlements and spawned communities of their own becoming a foundational element in the history of the region and the people who called it home. Initially created to harvest the mineral wealth that lay in southwestern Colorado, the line soon found itself serving as the backbone of the region. From silver to livestock, it facilitated the means of commerce and enabled travel for countless riders for nearly a century. 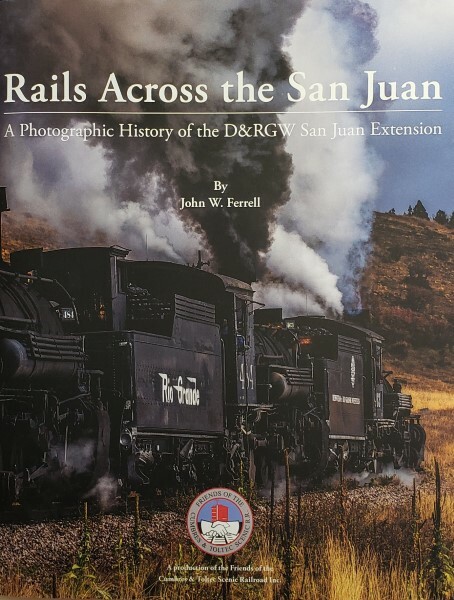 Throughout that time, though financial hardship often made itself felt for the San Juan, it always seemed to persevere, resisting closure attempts by the D&RG as standard-gauge enterprises quickly surpassed it. Today, the narrow-gauge extension lives on in the form of two unique and completely separate tourist railroads which are also National Historic Landmarks. Rails Across the San Juans covers the history and journey of not just what still remains, but also that which has been lost.